We didn’t make it up over Thanksgiving this year due to family stuff in the Bay Area so this weekend was our first skiing of the season. Luckily we hit pay dirt with the first day being a big snow day. 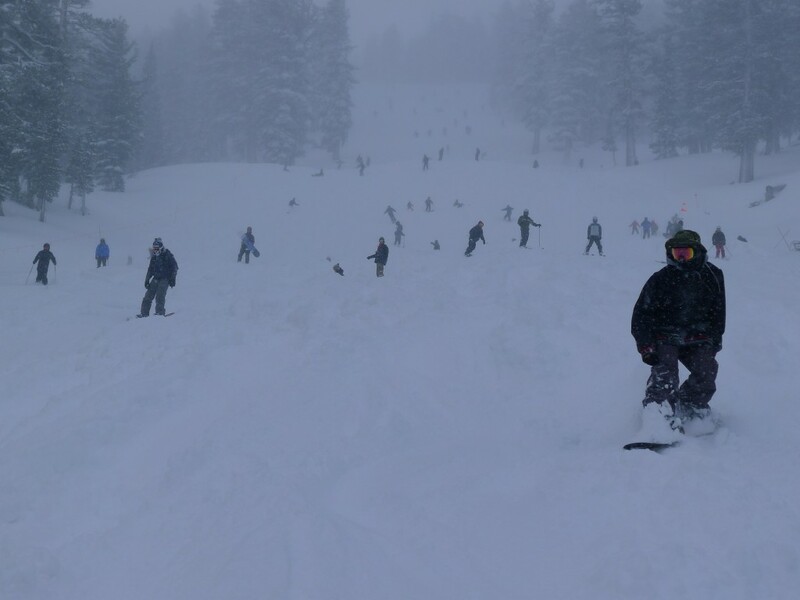 We ended up with about 20″ at the house, and 30″ at the top of Heavenly. There was a HUGE line at the Gondola (or “Gondanola” as we heard some first-time snowboarder call it!) on Saturday morning because they didn’t open until 10AM due to wind, and the Gondola was the only way to get up on the mountain. We didn’t take our first turns until 11:50AM. With only 4 runs open, long lines, and a temperature of about 5 degrees and strong winds, we only stayed for a couple of hours. This was the scene on the Comet run just after it opened for the first time this season. You would have thought it was the first day Mott was opening if you didn’t know better! Sunday was better with sunshine and nicely groomed runs (still just 4), but it was chilly down below with -10F at our house when we got up. The snow guns were going on Olympic and Ridge Run in California, so there should be more new terrain opening next weekend. Unfortunately doesn’t look like any new snow is on the horizon. 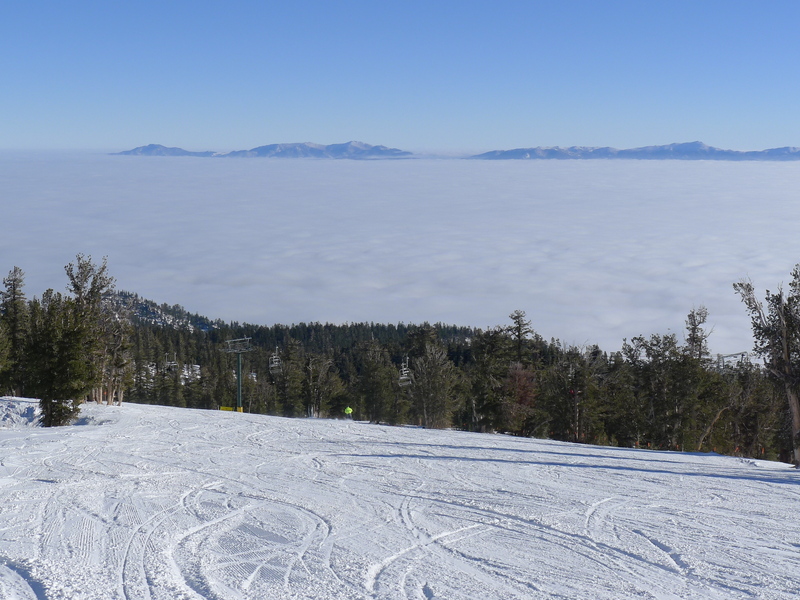 There is a new review up today: Sugar Bowl, CA. Cheers and have a great season! This entry was posted in Uncategorized on December 8, 2013 by Ron Thompson.